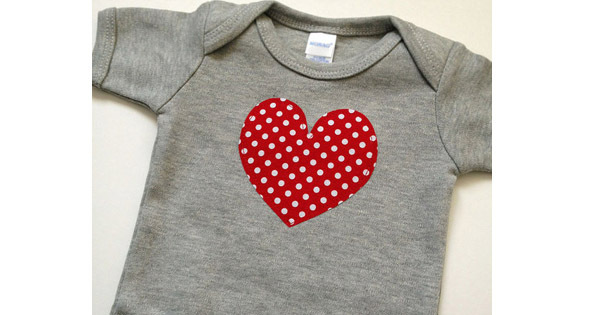 Sublime spotted heart bodysuit in gender-neutral grey jersey. With enveloped neckline and inner leg studs. $12 from Very KIKI.